Product prices and availability are accurate as of 2019-04-23 08:48:36 UTC and are subject to change. Any price and availability information displayed on http://www.amazon.com/ at the time of purchase will apply to the purchase of this product. Aesthetically pleasing and eco-mindful, these Natural Bamboo Stakes provide all sorts of uses indoors and out. Perfect for supporting plants, they're available in a number of sizes based on availability. 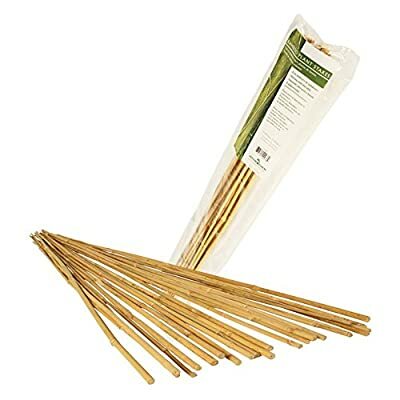 2-ft., 3-ft., and 4-ft. stakes are 8 to 10 millimeters in diameter (8 mm = .314 inch) 6-ft. stakes are 13-17 millimeters in diameter 8-ft. stakes are 18-22 millimeters in diameter Strong and durable bamboo stakes. Lightweight stakes have smooth, natural finish. Available in a variety of lengths. Suitable for both indoor or outdoor use. 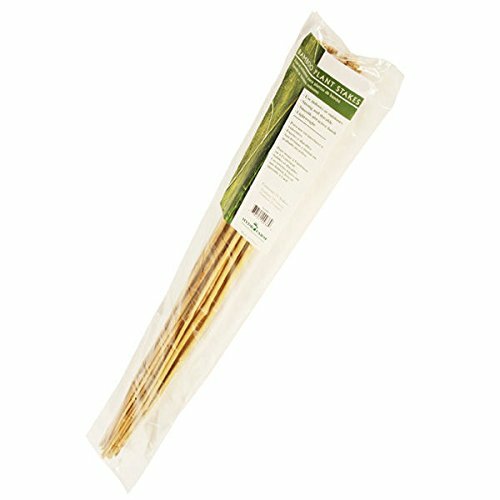 Pack of 25 stakes. Weighs 0.9 lbs..